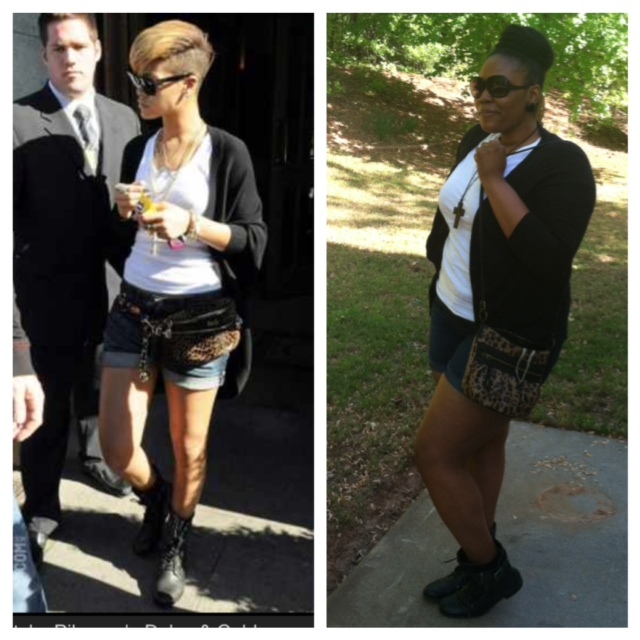 My outfit was inspired by none other than Ms. RiRi (Rihanna). The outfit she had on was so simple and comfortable and really spoke to my own personal style. I have a feeling I am going to be turning a lot of Rihanna’s outfits into a southern curvy girl fit of my own. Celebrity inspired with a southern twist.